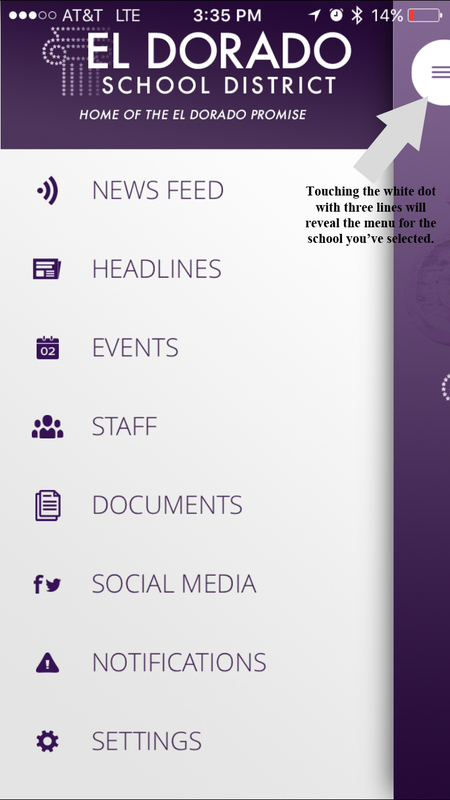 We are excited to now offer our students, parents, staff and community a quick and easy way to follow what's going on in our schools through our new mobile app. 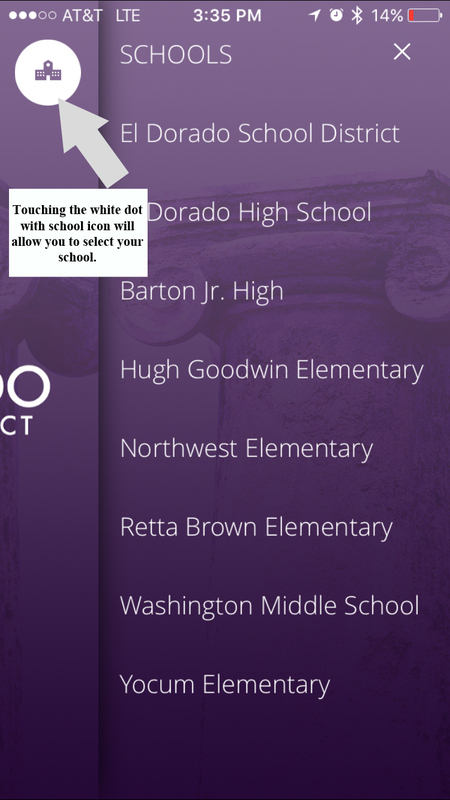 You can download the app by going to the App Store or Google Play and searching for El Dorado School District. 1) IT'S A TRUE APP - The mobile app is a summarized version of our website, not just a mobile version of the entire site. You'll find key components that you might need on the go, but not everything that's on the website is on the app. However, you can still visit the website via your mobile device by using your internet browser and going to www.eldoradopublicschools.org. Our new website is very mobile-friendly also. 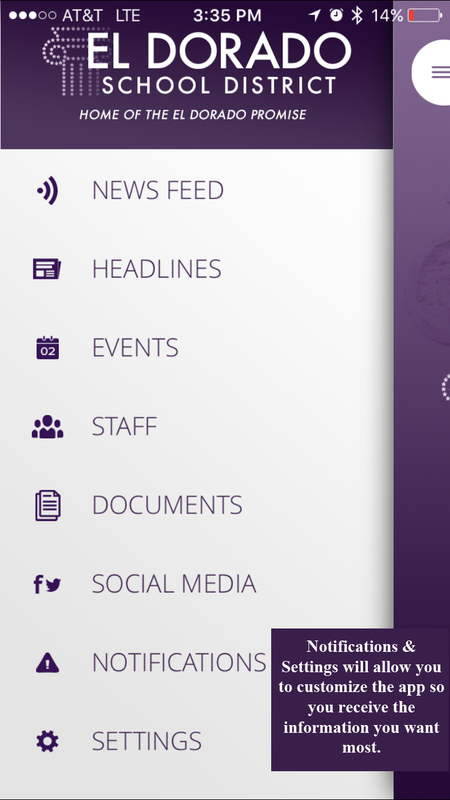 2) NAVIGATION AT YOUR FINGERTIPS - The ESD mobile app is very easy to navigate. 3) IT'S CUSTOMIZABLE - The Notifications and Settings options on the app allow you to customize your preferences. You can opt-in to receive notifications from specific schools when they post in their News Feed or Headlines. You can also choose a default school that the app will go to first each time you open it. We hope you find this app useful for staying connected with El Dorado Schools.